Eileen Stark of Real Gardens Grow (Facebook) recently wrote about a do-it-yourself (DIY) catio she and her husband Rick built in Portland. It is easily one of the most beautiful catios I have come across. 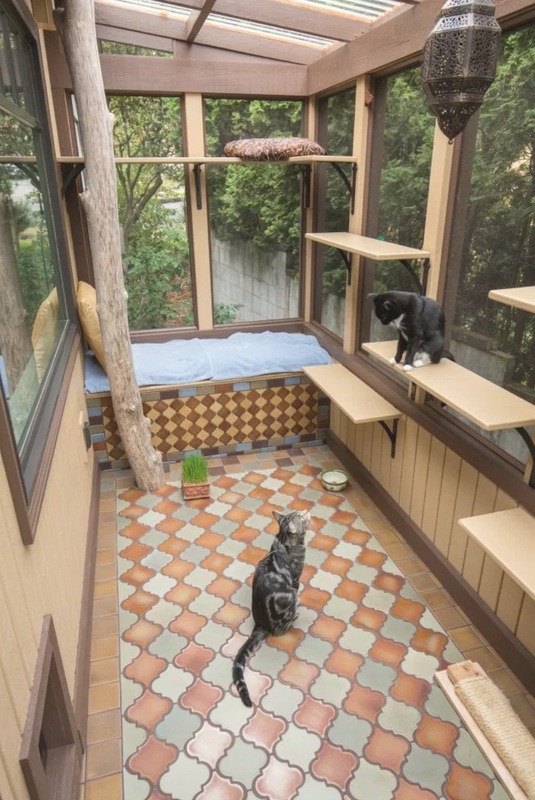 The attention to detail — tile floor, corner tree, scratcher, clear roof (similar to our Palisades catio) — is breathtaking. Check out her post which details their thought process and provides a step by step guide. While DIY is not for everyone, kudos to this couple for creating a beautiful catio for their cats to enjoy.